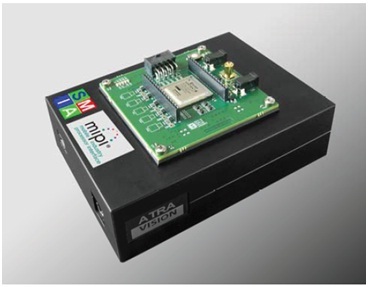 MIPI & SMIA Image Sensor Analysis - Atra Vision Inc.
Scooby2 Platform is an advanced modular platform for evaluating the performance of MIPI (CSI2) & SMIA (CCP) compliant mobile image sensors. Scooby2 is software compatible with previous generations of Atra Vision Inc.'s Scooby devices. This enables designers with prior experience with ScoobyV1.X to start using the new platform immediately. 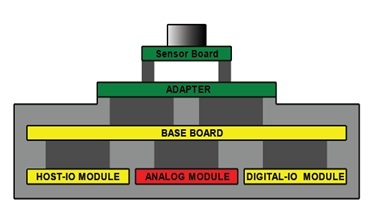 Comprehensive control of CCI (Camera Control I2C) interface. Frequency, duty cycle, clock to data timings, etc. Extraction of packet headers, short packets, embedded data from image data stream. 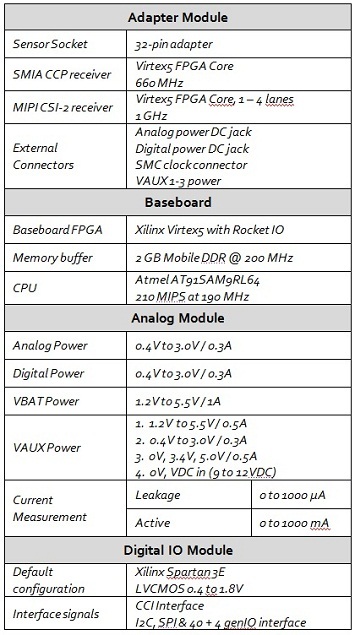 Complete SMIA-compliant CCI interface with programmable timing parameters, voltage levels and pull-up resistor values. Development / host system OS compatibility: Windows XP or Windows 7 32 or 64 bit; FireWire 1394 port S400 or S800 (recommended). Visit the Resources section for more documentation. Click here for more information on ScoobyV1.6. "Scooby2 Platform" is trademark of Atra Vision Inc. All other trademarks and registered trademarks are the property of their respective owners. ATRA Vision Inc. announces its Scooby2 test system platform is now available. Please contact Atra for additional information. ATRA Vision Inc. announces the advanced GenBLink2 1394 Link Layer Controller IP Core. With this core, a designer can build a bilingual 1394a/1394b Node Device with a full Isochronous Transmit, Isochronous Receive and Cycle Master Capabilities.